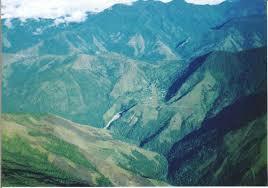 began a long time ago, at Fané-les-Roses, a Mission Station hidden in the highlands of Papua. In this magnificent location, the thought came to address, in the course of the Three Year Cycle, all the major themes of our Christian faith. I have done this in two forms, one poetic, the other prose. Here are the poetic versions, two for each Sunday. The set is not complete, for that would have meant over 300 poems. May they lead us deeper into the mystery so wonderfully evident in those steep mountains and valleys, untouched and untroubled.